What Is the History of the Petate? How Is the Petate Made? How Is the Petate Used? Petate Alternatives: What Can Be Used Instead? Before mattresses were commonplace, sleeping surfaces all over the world were much simpler but also more artisanal. The typical local precursor of the mattress is the handwoven mat. While there are occurrences of this item in many cultures, we will focus on one that is predominantly found in Mexico and much of Central America. What are we talking about here? Allow us to introduce the petate. The origins of the petate go back to the Mesoamerican Pre Hispanic period. In fact, the name is derived from the word petlatl from the Aztec language group Náhuatl. We’re not going to outline a history lesson here. Instead, let’s look at how much the petate has influenced the modern world, and how it compares to other mats like it. Like the tatami mat of Japan and the baníg of the Philippines, the petate is not made of textile. Rather, these handwoven mats utilize the local flora of their origins. 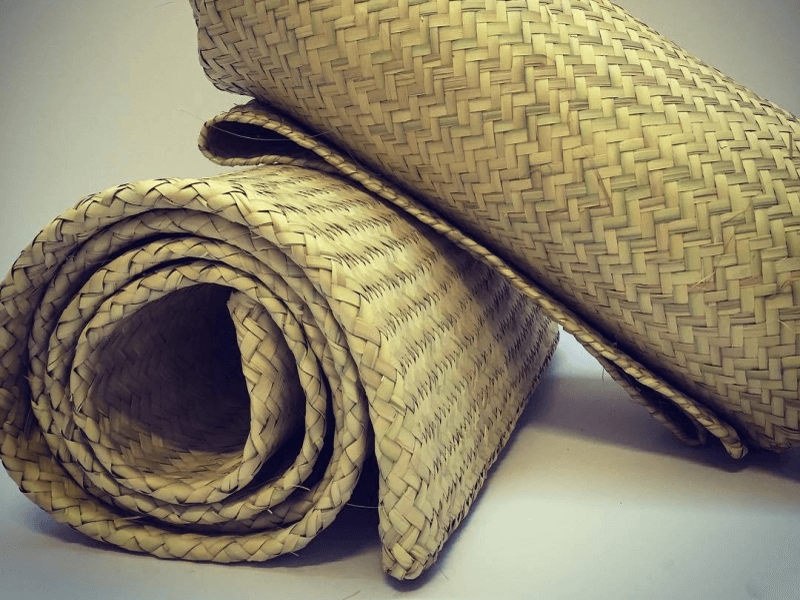 The tatami mat is traditionally made with rice straw, while the baníg is traditionally made with Buri palm leaves or Tikog grass reeds. 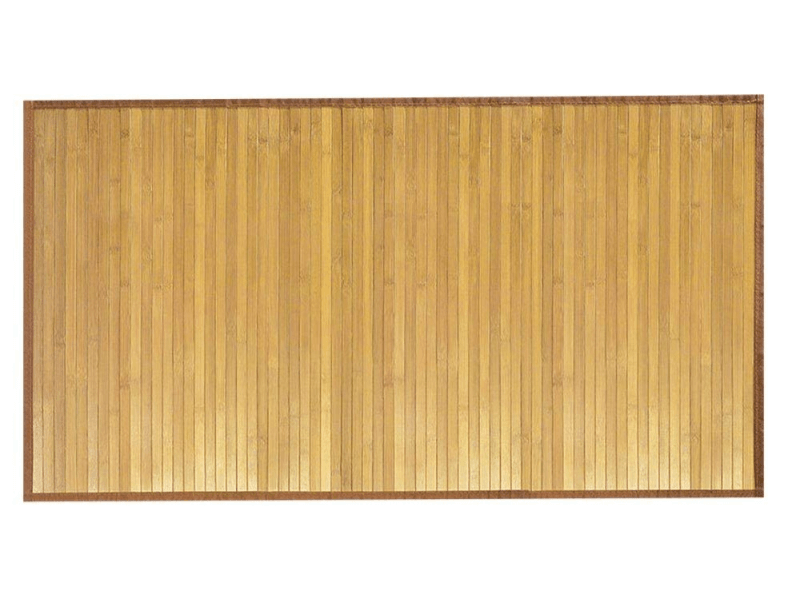 Unlike other handwoven surfaces—the Japamese tatami mat comes to mind—the petate has no traditional expected dimensions. Like the Philippine baníg, the petate can come in all shapes and sizes. The same weaving techniques are also used to make other items: baskets, hats, toys, and more. The traditional Mesoamerican mat is generally made out of dried and woven fibers of Leucothrinax morrisii, also known as the palm of petate or the Key thatch palm. This plant is native to the Antilles, the Bahamas and the Florida Keys. Many other endemic varieties of palm or palm-like plants are used to make petate from different regions. This is true especially for places where the Key thatch palm is not found. Examples of these other options are Dasylirion acrotrichum or cucharilla, and Sabal mexicana or Mexican palmetto. There’s not much that sets the petate apart from other traditional mats; in terms of materials used, weaving and design. What is very different, though, is the way the idea of the petate has been firmly ensconced in the cultural memories of the countries in which it is found. This is likely due to the fact that the petate has been around since at least the 15th century. “Ya se petateó” is a Mexican slang phrase equivalent to “he’s already dead”. This is similar to phrases like “he’s pushing up daisies” or “he’s kicked the bucket”. The verb petatear is used here to mean “to die”. This is because the petate has also historically been used in burying the dead. “Huele a petate quemado” or literally “smells like burnt petate” is said to refer to the smell of burning cannabis. This is perhaps due to both cannabis and the petate often being rolled up. “Llamarada de petate” is a more personal and emotional version of the English idiom “flash in the pan”; as it may refer to a brief and intense love affair, or a person that is quick to change his mind or make promises that won’t be kept. The word petate itself can also be used informally to mean a bundle of clothes and bedding, or simply travel luggage. How Is a Petate Made? Making a petate is a difficult task consisting of multiple, time-consuming steps. A petate made for sleeping is usually hand woven into a comfortable, quadrangular form. This allows for a sleeping person to lie down properly without having to bend or contort to fit on the mat. The leaves or fronds are carefully cut from the palm or palm-like plant, and then left on a flat surface to dry under the sun. Great care and attention must be taken to ensure that the plant material does not curl or arch during the drying process. Sometimes some of the fronds are stained with vegetable-based pigments in order to allow for colored patterns in the petate design. 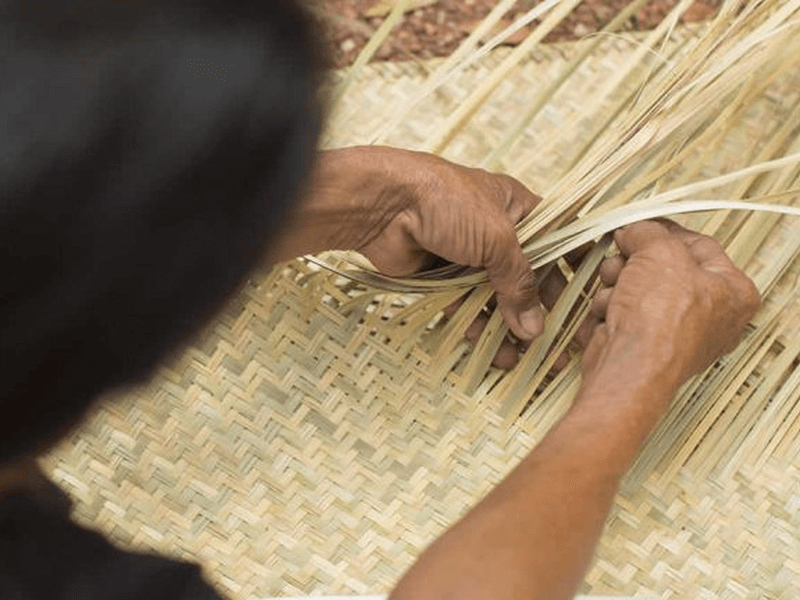 After this is accomplished, the dried fibers deemed strong enough are used in long and arduous hours hand weaving to create the final product. Important to note here that modernization and globalization has taken its toll on the art and craft of making the petate. Not only are mattresses more comfortable and sensible, they are also easier to avail of due to the dwindling number of petate weavers. In recent years, some petate weavers have actually switched to other materials that are sturdier and sometimes synthetic. This does cut down on the time, but also disregards tradition. 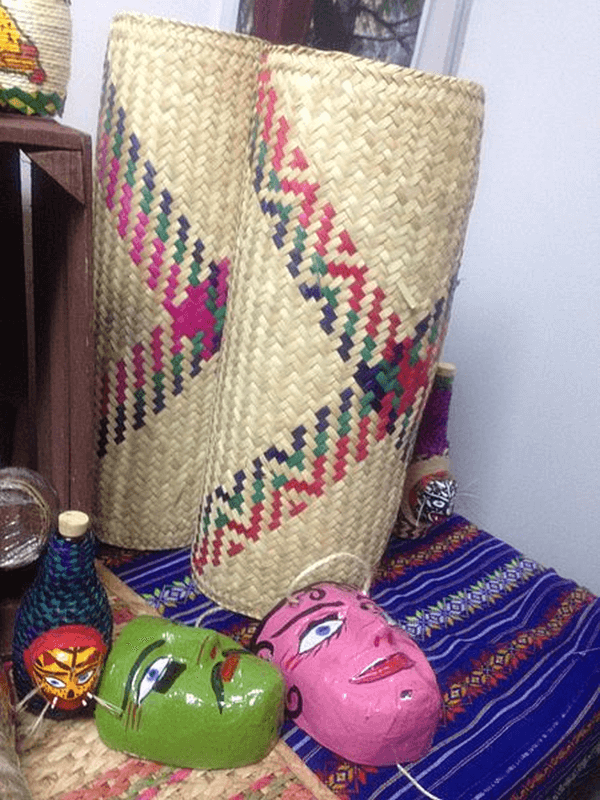 These vibrant and colorful variants are usually sold as tourist souvenirs. How Is a Petate Used? The petate is a simple, no-nonsense sleeping and sitting mat. To use, just unroll and place on the ground. Otherwise it is typically remains rolled and stored. It is tucked away in a closet, if not hanging or leaning against the wall. 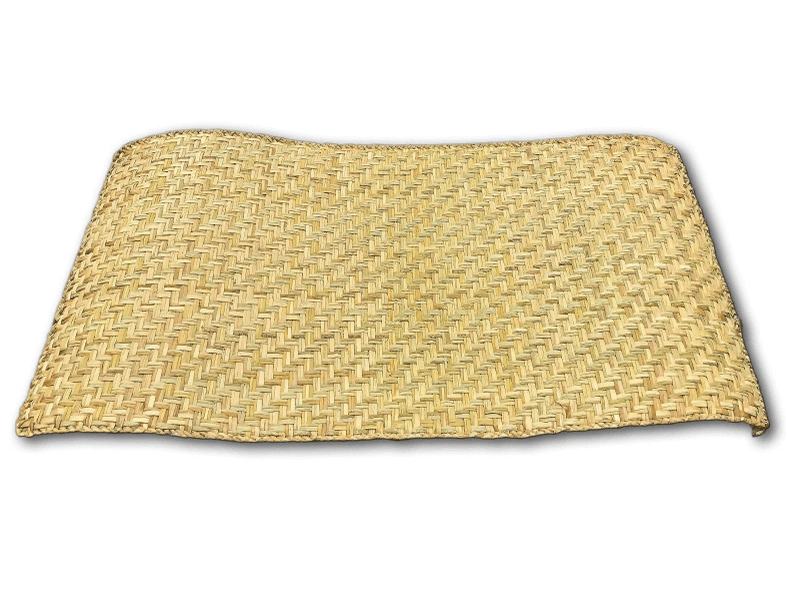 Like many other handwoven mats, its portability is a space-saving plus for smaller dwellings. In warmer climates, though, it is common to see a petate being used for sleeping outdoors. 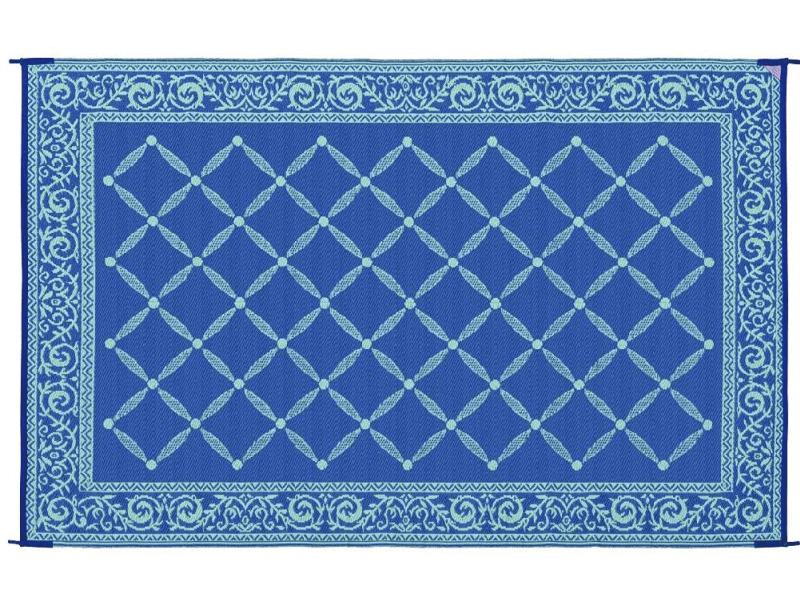 As a sitting mat, it can be used indoors or on picnics and beach trips. As mentioned above, these days there is no real reason to use a petate every night as a bedroll. However, there are many ways to use it otherwise. Its organic nature also makes smaller versions of the petate ideal dog mats, welcome mats or even place mats or table runners. More aesthetically pleasing variants can feature colorful woven or painted on patterns and designs. These are considered works of art worth displaying, and are often used as such. Another common and humble use of the petate is as a surface for edible items to rest on while being dried under the sun. These foodstuffs include: grains, seeds, and even tortillas. If you simply need a surface for sleeping on the ground, any sleeping bag or modern bedroll will do. Unless you have a hankering for the real deal, it won’t be hard to settle for something you can adapt to your needs. We are taking into account the petate’s multiple uses here. The petate is, in essence, a handwoven mat that isn’t textile-based. While an authentic petate can be elusive, especially if you’re looking for a deal online, alternatives are available everywhere. You can, obviously, look for an authentic tatami mat or a baníg; but these will probably be as hard to find as a real petate. Below are some of our more mainstream recommendations. Want something portable to use outdoors? Patio mats are sometimes called RV camping mats. Items like these are often made of polypropylene, which is a tough and versatile plastic that is also recyclable. Unlike some natural material options, these mats are also often mold, mildew and mite resistant. 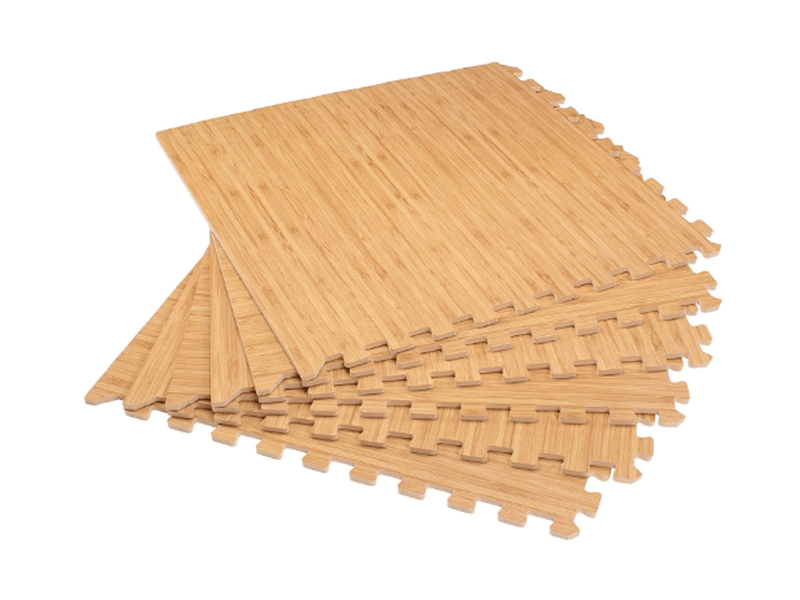 We like these outdoor mats more than the usual plastic or straw beach mats or yoga mats because they are more durable, useful in more places, and come in large sizes. Items like beach mats or picnic blankets can be found anywhere and are probably not going to be things you’ll need to order online. As for yoga mats, you’re probably better off ordering a proper yoga mat instead of using something else. Want something with a natural look and able to withstand indoor wear and tear? We’re talking about something you can use in play areas or exercise rooms. Maybe you’re on a budget but looking for a surface to be both resilient and cushioning. If this sounds like you, we suggest interlocking foam mats. These can feel a little flimsy and look a little garish, but both flaws can be fixed by finding the correct product. You’re probably more familiar with these in a preschool or workplace setting, but printed wood grain variants are popular for indoor and boat use. Want to go the natural route all the way? While the baníg, petate and tatami mat can be difficult to find—especially if you’re on a budget—natural material area rugs are next best thing. These can be made from bamboo, jute, seagrass and more; and can be both decorative and functional. Price points vary wildly, though. Handwoven variants are obviously going to be more expensive than machine woven ones. The quality and treatment of the natural materials counts, too.